Its all about the community. Ninja for MvvmCross version 2.2.0 is now available for download. The focus of this release has been on improving the plugin support and also nuget integration especially around plugins. in cases where this happens the ninja will install the local version. Some minor bugs have also been fixed and some performance improvements have been made. 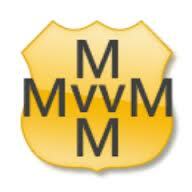 Hi Adrian, great work on creating this addin, makes the process of using mvvmcross MUCH more elegant. Just wondering if you have the code up on github or some other repository? I'm interested in helping out with development when I can as there's a few improvements I'd like to add.